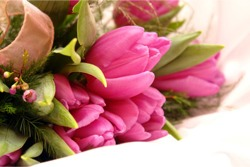 Click here to find out about some fantastic special offers for To Love and To Cherish brides. 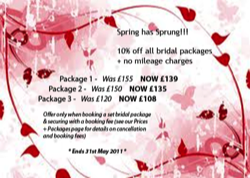 10% off all Bridal beauty packages. No extra mileage charges in the Kent, Thanet and Ashford areas of the UK. Buy one, get one half price on all one-to-one consultations. 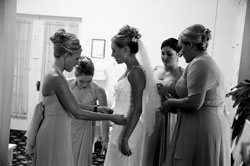 This could be the bride and mother-of-the-bride or bride and her matron of honour - the choice is yours. On all invitations ordered through To Love and To Cherish. 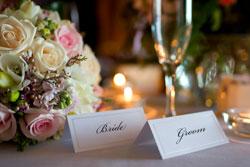 Calligraphy gives a more personal feel to any wedding stationery and is always very popular with brides-to-be. Take heed from these videos and make sure your 'big day' doesn't end in disaster! If you have a YouTube video of your own wedding day bloomer and would like to share it with To Love and To Cherish, please send us the link and we will embed it on this page. Take a few minutes out... have a go at one of our jigsaws... just click on the numbers to move the pieces.